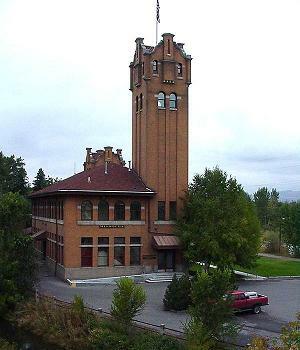 Located in the western part of the state, Missoula is the county seat of Missoula County. It is the second largest city in Montana (after Billings) with a population of 57,053 in the city itself as of the 2000 census, and around 100,000 in the metropolitan area. Since the census, the area the University of Montana area, which is home to around 15,000 students has been annexed to the city, and thus the population of Missoula is today comfortably over 70,000. Missoula is nicknamed the "Garden City", partly because of its mild Winters relative to the rest of Montana, and partly because the state flower of Montana, bitterroot, grows in the area. Probably the most famous educational institution in Missoula is the University of Montana-Missoula, which is public university that was originally founded in 1893, and has been described as having the "Most scenic campus in America" (by Rolling Stone magazine). Missoula is nicknamed "The Garden City".